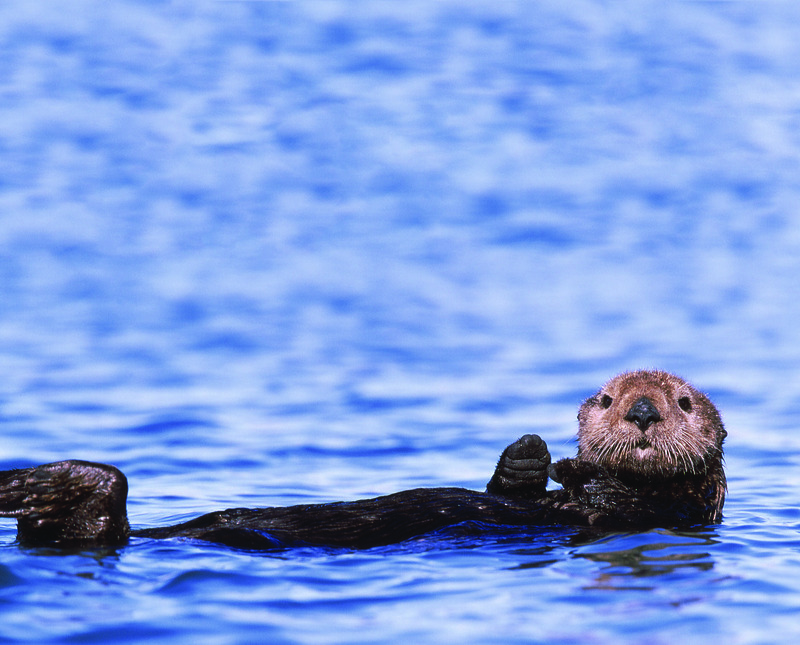 From sunning sea otters to subterranean vineyard cellars, the Monterey Peninsula is about more than just great golf. I’m standing on a bright, sunny hillside overlooking an expanse of the Carmel Valley with Nick Elliott, whose family owns the 400-acre Holman Ranch located about 13 miles inland from the Pacific coast. In front of us, a sweep of gently rolling hills are topped with little rectangular vineyards, each situated to the advantage of particularities in the local climate – Chardonnay on the east bank receive the brunt of the early morning sun, Pinot Noir on the ridgeline take the cool afternoon breeze from the sea. The entire scene, Elliott explains, is watched over by hawks, owls, and ladybugs introduced on the property as part of an organic pest control regimen. A moment later we’re back in the truck making our way past a 1920s hacienda that once-sheltered a Charlie Chaplin fleeing the din of early Hollywood, and now hosts weddings for the daughters of Silicon Valley executives. Elliot leads us underground, into a cellar carved out of a hillside, where he uses a wine thief to steal sips of a new cask of chardonnay and tells a story about the surprising success of a recent vintage of Pinot Noir that was tainted by terrible wildfires that had marched up nearly to the vineyard’s property line. It is a perfect Californian moment, and yet what I can’t shake is the fact that just a couple of hours ago I was in a kayak, navigating the chilly Monterey Bay past pods of bathing sea otters and sunning sea lions. Southern California typically sops up the reputation for sun and surf, while Northern Californian is a well-trodden destination for culinary epicures. But here, in the sometimes-overlooked Central Coast, was the best of both worlds. The pastoral Bernardus Lodge and Spa is the perfect vantage point to experience the Monterey Peninsula. Located about 10 miles inland from the coast, the lodge is a luxurious retreat nestled in between the hills of the Carmel Valley. Suites and villas overlook bocce courts and fire pits. A fantastic restaurant and a full-service spa are on the grounds. It’s easy to slip into one of the lodge’s spacious suites, replete with fireplace, and disappear from the world, which makes the spot a popular destination for corporate retreats and honeymoons alike. If you’re looking for lodging that captures that classic feel of Carmel, then it is difficult to match the class and style of La Playa Carmel. Perhaps the most famous hotel on the peninsula, La Playa Carmel is a hundred-year-old mansion that was converted to a hotel in 1915, and is perfectly situated a quick walk to the beach and the shops of historic Carmel. Lush grounds, historic architecture, a comfortable dining patio, and old world service all contribute to the creaky romantic charm. Located right in the heart of historic Monterey, the Portola Hotel and Spa offers a comfortable base for exploring some of the more popular tourist attractions on the peninsula, including the Monterey’s famous aquarium and wharf. While the Portola can feel a little too mall-like, the hotel’s location, recent renovations, reconsidered restaurant (Jacks Monterey), and spa make it a wonderful base for exploring the historic port city. You could easily lose yourself for days in Central California’s world-renowned golf courses, luxuriant spas, and top-notch dining. But to swing through the Central Coast and not get outdoors would be a crime. The area offers a dramatic contrast between mountains and sea, and plenty of opportunities to hike, paddle, sail, and explore one of the most spectacular natural settings in the U.S.
My girlfriend and I arrived at Adventures by the Sea on a wet Thursday morning and were equipped with weather-appropriate coveralls, life vests, paddles and a kayak and led down to the water’s edge. Operating for more than 25 years, think of Adventures By the Sea as your headquarters for exploring Monterey Bay. The company offers bike, paddle board, and kayak tours and rentals, as well as team building outings for corporate groups. We pushed out into the blue bay, paddled out past a bed of kelp, where sea otters clung to their babies, and headed up the coast towards an outcropping of rocks crammed with sea lions. Sitting there and looking back at the coast, ships heading out of the harbor, the sound of the crowing sea lions breaking the cool morning quiet, is to truly appreciate the way the constant conversation between land and sea shapes the look, feel, and culture of the peninsula. If you want to get a little more out to sea than what a paddleboard or kayak will take you, Monterey Bay Whale Watch offers cruses that depart twice daily from the Monterey Wharf. Working in consort with local conservation efforts, the cruise travels out into the bay where whale-seekers can spot migratory orcas, grey whales, dolphins, humpback whales, and more. After a particularly active 2017 season, the Monterey whale watch was recently named one of the five best places to see blue whales in the world. And even if you don’t spot a whale, the trip will deepen your appreciation of the bay’s unique aquatic ecosystem. Just be sure to bring medicine for a queasy stomach if you tend to get sea sick. The two main towns on the peninsula offer two entirely different experiences. Monterey is a relatively larger, more bustling town. Begin your exploration near the wharf, where you can peruse the working fishing dock and grab a bite at the handful of casual seafood grills that lie within a short walk to the historic center. The Monterey State Historical Park offers free guided walking tours of the Monterey Old Town Historic District, once the capital of Alta California and now a National Historic Landmark. The area boasts some of the oldest structures in the state, including exquisite adobe buildings from the 18th-19th centuries. About a mile north is historic Cannery Row, a hub of the fishing industry at the turn of the 20th century that has been immortalized by writers like John Steinbeck. Now a tourist district with plenty of restaurants and souvenir shops, the highlight is the Monterey Bay Aquarium, one of the largest and best in the world, which specializes in education and conservation efforts focused on the diverse aquatic life of the Monterey Bay. A 15-minute drive down California Route 1, Carmel-By-The-Sea, is offers a decidedly different feel than the bustling Monterey. The town is a cozy mish-mash of distinctive architectural styles – revival Mission, Tudor, and Spanish Romantic, alongside quirky storybook homes from the 1920s and 1930s. Long a haven for artists and creatives, Carmel is now a shopping and dining destination, which boasts plenty of specialty shops and galleries. Don’t miss The Cheese Shop, which carries between 200 to 300 varieties of cheese; Bittner, a specialist in rare and old-fashioned pens from all over the world; and Weston Gallery, which carries prints by Ansel Adams, among other artists. Carmel Beach is one of the area’s pretties – a half-moon of white sand that wraps along the edge of town, and, even in colder weather, is perfect for meditative walks and romantic strolls. The Carmel Valley and Monterey County have long produced quality grapes, though most have been shipped north for production in Napa Valley. In recent years, however, the region’s wines have been receiving their own attention and acclaim. 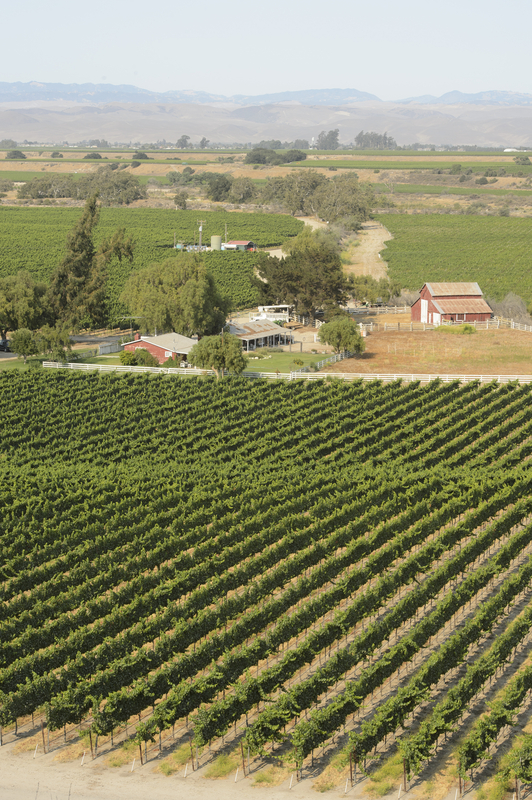 Thanks to its location in the balance between cool and wet coastal and warmer hilly climates, the area produces a variety of outstanding varietals (particularly Bordeaux, Merlot, and Pinot Noir). While the road through the Carmel Valley is dotted with places to sip local vintages, don’t miss the historic Holman Ranch and its early 20th century hacienda that sits on a sunning strip of hills that run parallel to the coast, offering micro climatic conditions ideal for a variety of quality wines. Monterey Peninsula is located near some of the most stunning natural scenery on the planet. Big Sur is just a short jaunt down California Route 1, and Pfeiffer Big Sur State Park is one of a handful of entry points, offering trails, camping, and some unparalleled views from the edge of the continent. Be sure to check ahead before visiting, though, since wildfires and landslides have had an impact on some of the Big Sur parks in recent year. Closer to town, Point Lobos State Reserve allows hikers to experience the subline ruggedness of the central California coast. Trails wind through forests and up over the coast. Certified scuba divers can also explore the Point Lobos State Marine Reserve, which is one of the richest marine habitats in California. But after sitting out on the balcony of the Bernardus Lodge for a few days, watching the sunset against the golden peaks of an unfamiliar ridge just on the other side of the road, I was dying to get into the backcountry that lay only a stone’s throw away. Down the road, I found the trailhead at Garland Ranch Regional Park. It really brought me back to my excursions with Napali Coast Tours back in my younger days when I was a guide. I loved hiking then and I still do, although I don’t get out as often. There are a handful of trails that range in difficulty and length so even out of shape enthusiasts can enjoy the view up above the Carmel Valley and the stunning vistas, inviting canopied forests, and even an ancient Native American site. The best part: after a long hike, cocktail hour lay just on the other side of the road back at Bernardus. With the twin influences of sea and wine, and plenty of local agriculture, the Central Coast is an embarrassment of culinary riches. Start with Chef Cal Stamenov’s Lucia Restaurant and Bar, located at Bernardus Hotel and Spa. Stamenov’s menu offers a twist on classic Californian cuisine heavily influenced by locally sourced ingredients – some from the chef’s garden, which sits steps away from the cozy, glassed-in dining room. For dinner, you can’t go wrong with the generous selection of Pacific oysters followed by smoked Sonoma duck breast or the exquisite local artichoke basil ravioli. Locals also swear by the Bernardus burger, however, which is only available at lunch. For a view that fully embraces the Central Californian experience, it is difficult to top California Market Grill at Pacific Edge, Chef Chad Minton’s cliff-tottering restaurant, which looks out through huge floor to ceiling windows on the ragged Californian coast. As waves crashed over rocks down below, and a fog moved in to cover the redwoods, Minton served an extended multi-course tour of his acclaimed American-French menu, highlighted by grilled octopus, abalone, and an impeccable wine list. For a more casual setting and a different view of the peninsula, head to Pacific Grove and try Jeninni Kitchen + Wine Bar. A relative newcomer on the scene that serves a Californian take on a blur of North African, Turkish, and Middle Eastern cuisine, Jeninni is the brain child of former figure skater and James Beard winner Chef Jeffry Weiss and Owner-General Manager Thamin Saleh, a sommelier and seasoned Monterey-area manager. Their eclectic menu – including the succulent sliced rotating “ham of the month” – blends locally attuned ingredients with a broad range of international inspirations. The pairing is something of a metaphor for the peninsula as a whole: unique, confident, regionally distinctive, and yet crisscrossed with sophistication and a sense of adventure.